I do love a little bit of Malin+Goetz, their pared-down very “New York” aesthetic really speaks to me for some reason. I think what I love about them is that they don’t make outrageous claims for their products (no “reclaiming your lost beauty”-style ramblings for them, thank goodness!) and the range itself is markedly simple, if ever-expanding, but, the products do work, and they work very well. What I also love is their range of interesting and almost unique scents. Rum hand soap? Yes, please! Eucalyptus deodorant? I’ll take two! Actually, I genuinely am on my second Malin+ Goetz deodorant, it sounds a bit odd, but the scent is markedly refreshing first thing in the morning, and I find that it doesn’t clash with any scent during the day. And it works, which is always a good thing, when it comes to deodorant. I’m also a fan of their Vetiver candle, which I burn on random occasions to bring a hint of summer to my bedroom. I’ll be talking to you in more detail about their eye-cream very soon (heads up, I love it). I’m also a big fan of their lip balm, having written about it before, but I was delighted to find recently that they now have a Mojito flavour version, and this is something I’ll be investing in soon (obsessed with rum, moi? I’m sure I don’t know what you mean). 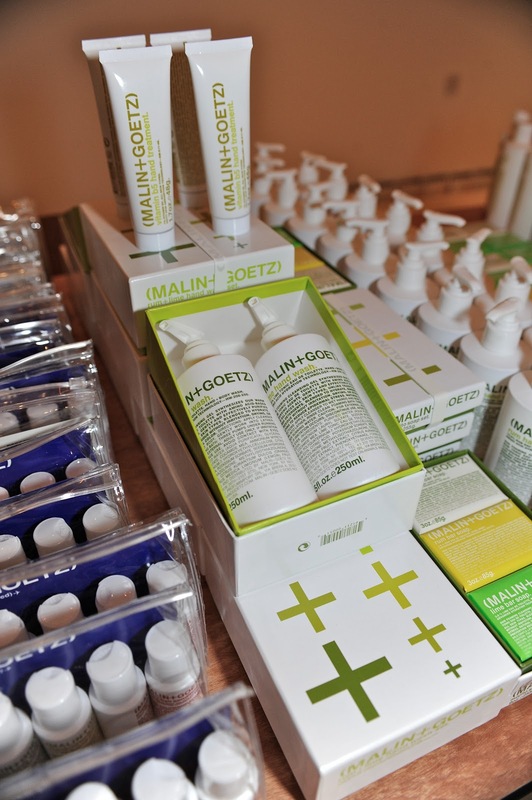 Very soon in fact, because up until the 4th January Malin+Goetz have a pop-up shop open in the St Martins Lane hotel in Covent Garden, and the store is actually being manned by Matthew Malin and Andrew Goetz themselves! I met them recently, and they’re a joy to spend some time alongside. So, if you want to find out more about the brand, or just have a nose at the entire M+G range, then get yourself along to the St Martins Lane Hotel before the 4th January. Oh, and if you can pick me up some of the Lotus perfume, and a bottle of the hyaluronic acid serum, I’ll be very grateful, thanks. Previous Post Christmas Giveaway – Haus of Gloi! I 've only recently "discovered" this brand and I love how their products are aimed towards the more sensitive skins..! I love their handwash, shower gels, adn grapefruit face cleanser. Did they mention if more websites will start stocking a fuller range of their products?